« Reach New Heights at Quechee Hot Air Balloon Festival 2018! The students give a wide variety of free performances, primarily to nursing home and assisted living residents as well as local children. Many of the students go on to perform in chamber groups and orchestras around the world. Some even end up coming back to teach and perform at Killington Music Festival! For those interested in something a little more “pop,” Killington’s annual Cooler In The Mountains concert series kicks off in July. Cooler In The Mountains is a series of free, outdoor concerts from top national and regional acts. Saturday afternoons from July 14th through September 1st, 2018. 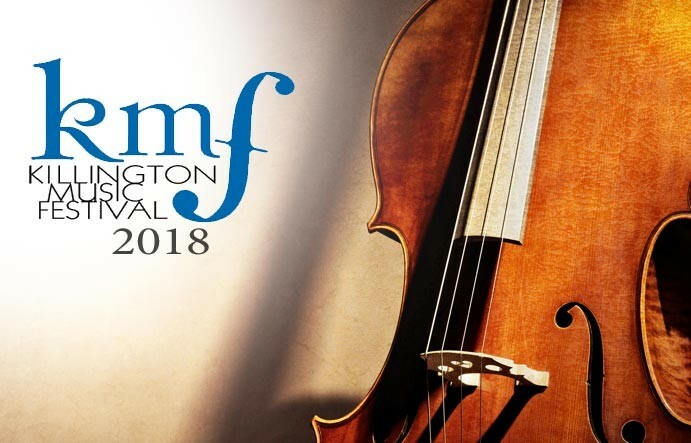 Buy tickets and learn more online at the Killington Music Festival website. Deer Brook Inn is less than a half-hour’s drive from Killington and would love to be your home away from home for whatever brings you to the area. Our Vermont B&B’s convenient location in Woodstock provides easy access to Killington and Okemo, the Appalachian trail, shops, galleries, and more. Our spacious guest rooms, rich amenities, and delicious breakfasts may keep you in, however! Book your stay at Deer Brook Inn today!